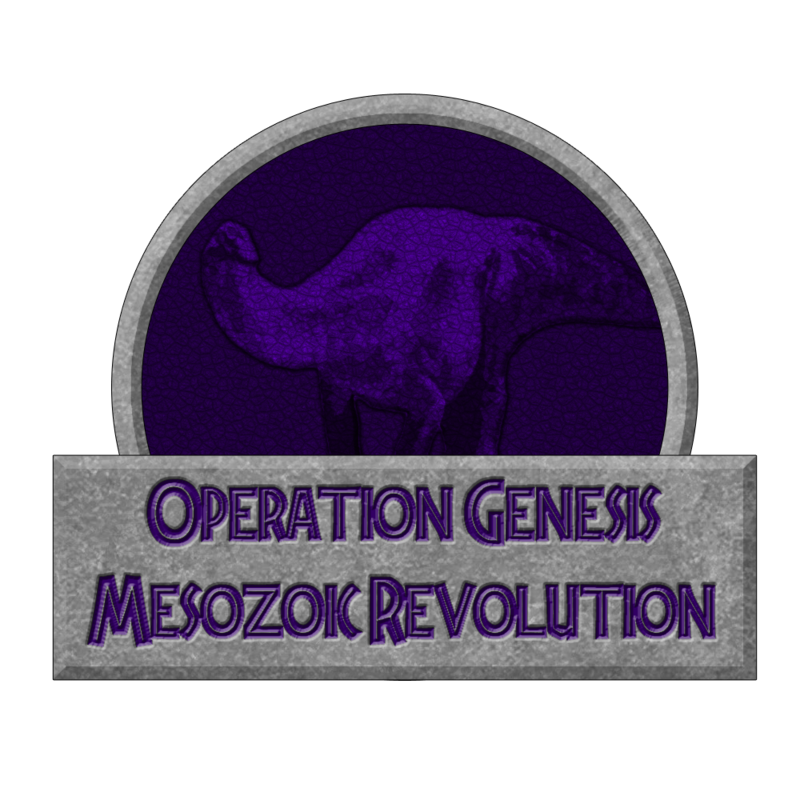 This mod aims to make JPOG more palaeontologically accurate, as well as adding a few new features. General stats sweep - Adjusted stats for every dinosaur and other units based on their estimated sizes, their physical features, and adaptations. For example, large sauropods have massive health, befitting for the largest dinosaurs that ever walked the Earth. If another dinosaur tries to attack one, it will find that they take a long time to wear down! 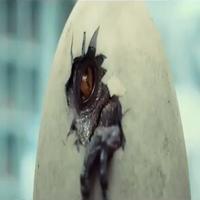 Another example would be Velociraptors not being able to kill a visitor with a single pounce. Seriously, this thing is around the size of a turkey or a coyote! Why should it be effortlessly killing people with a single pounce!? Large carnivore packs - Allosaurus and the other carnosaurs can form packs. 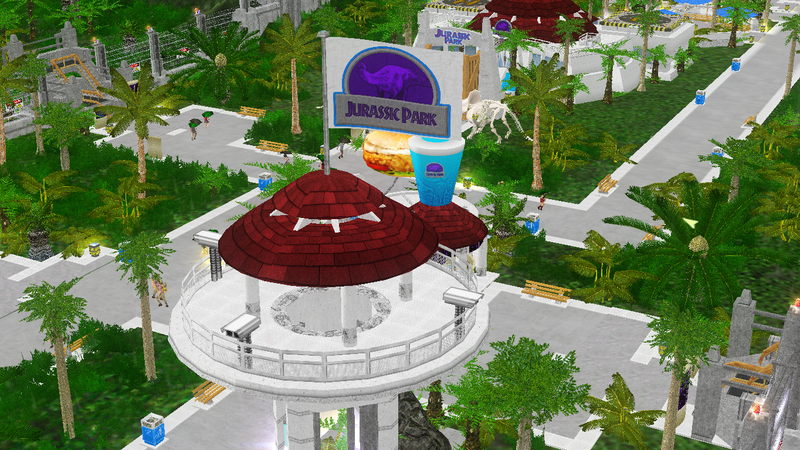 Building limits massively increased - you can now build your park without worrying of pesky building limits! Digsite unlock increased - You can now unlock up to 10 digsites at 5 stars. Maximum number of fossil hunting teams increased to 8 - 4 just isn't enough. Fossil team base cost decreased - prevents stupidly high prices when you have 5+ dig teams. Sentry turret downgrade - makes the game more challenging. Now you'll have to get in your helicopter more often. However, the sentry turrets will be cheaper as well. Mod Variants (will be made post-release)These are not part of the main mod and will be worked on after release. Each variant will have it's own exercise-exclusive DLC. Only adds Cretaceous dinosaurs. 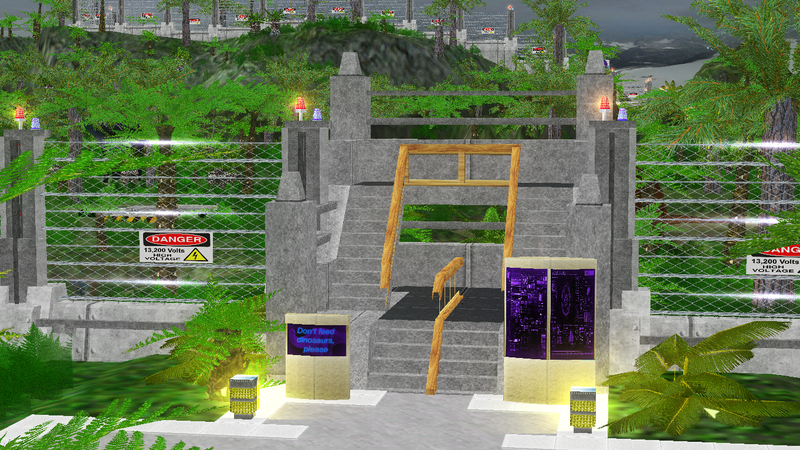 This is intended to be the successor of my outdated 2012 Cretaceous Expansion mod. It's name comes from the fact that the Cretaceous period was named after it's abundance of chalk, more than any other period in the Phanerozoic. Only adds Triassic dinosaurs, and is named after the first episode of Walking With Dinosaurs. 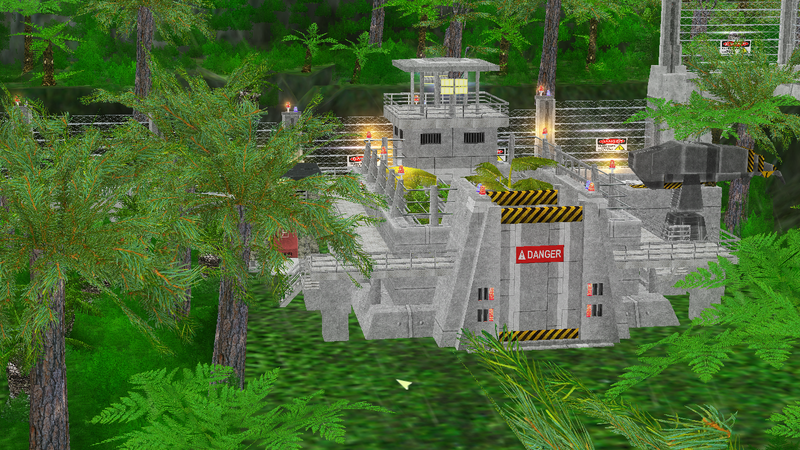 This will be the final execution of my Triassic Expansion concept, which was worked on for a while then abandoned. Hell Creek A is the most anachronistic site in the unmodded game. Literally none of the dinosaurs found there in the vanilla game are known to have coexisted with one another. Acrocanthosaurus is from the Aptian-Albian (~125-110 Ma), Parasaurolophus is from the Campanian (~84-72 Ma), and Torosaurus is from the Maastrichtian (~around ~72-66 Ma). The JPOG dilophosaur is anachronistic and undersized, so I replaced it with Ornitholestes. 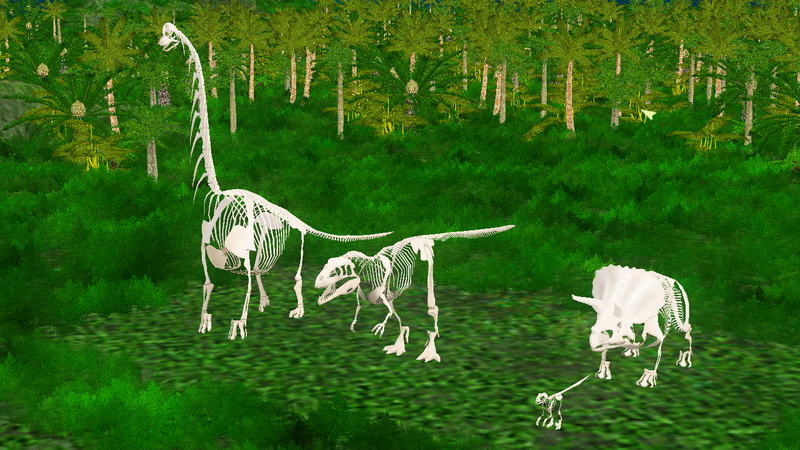 Also, the JPOG Gallimimus is closer to Anserimimus in size than to an actual Gallimimus, and sizing up the model to the size of a real Gallimimus leads to a rather weird model, so I changed it to an Anserimimus. Amazing! What about the Sonorasaurus statue? Doesn't have a skin yet. Oh my god! Can't wait to see it! It's done. Not the mod itself, the Sonorasaurus mounted skeleton. Impressive work, you got there! I'm amazed that one of my favorite sauropods getting a skeletal mount! Only for some of the models. Many other models don't look good as skeletons even if they look really nice with normal fleshed-out skins. Just curious how will the expansion packs work? Will all the extra 15 species added in the main pack be replaced by the species in the DLC? Nice! This Expansion pack looks awesome! It differents itself from jpog alot, which i love! It looks like a new game! The mod variants (not expansions or DLC, they're technically separate packs) will be as close as possible to the species list in the original 2012 Jurassic/Cretaceous Expansions. It won't be an exact match though. UPDATE: The ETA has been moved. Adding a large amount of new data to the exercise files at a time seems to be a bit harder than I though, one overlooked mistake could crash the exercise from the loading screen...Anyway, as for mod progress, I only have the remaining exercise files and visitor skins left to do, and maybe one or two more skeletal mounts. Decided to make "Open Range Safari" more Morrison-centric. Also, "The Lost World" in the initial release won't have any exercise exclusives, as I had trouble fitting in the species I wanted. 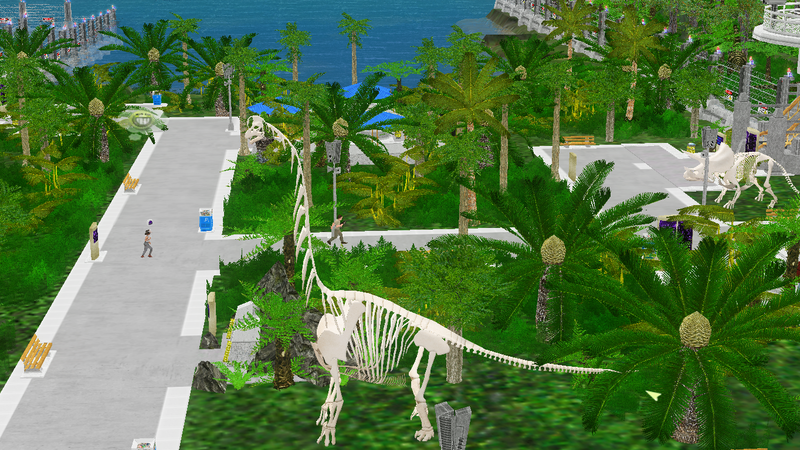 The Tyrannotitan skeletal mount and implementation of new additions unto exercises is completed. All I need to do is skin the Deinonychus skeletal mount and skin the visitors for the sake of consistency. UPDATE: All the skeletal mounts are complete. Can we expect flesh and blood appearances for the Tyrannotitan and Sonorasaurus anytime down the line? Any news further? Still how long does it take to complete this mod? Almost there. 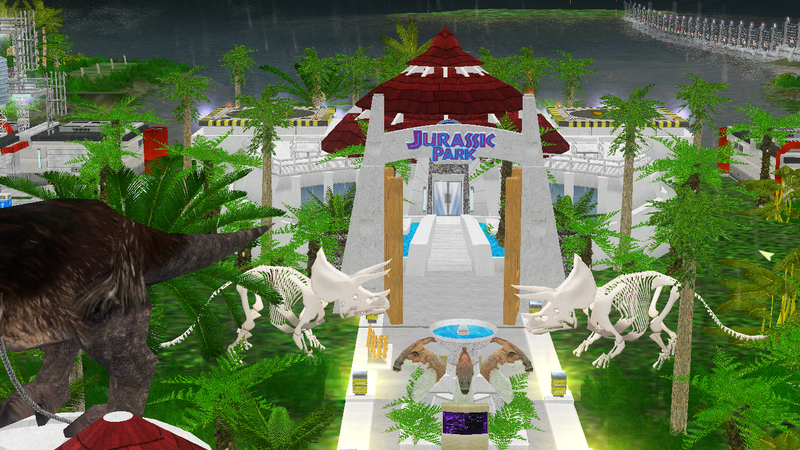 Those background/loading screens along with the dinopedia icons took longer than I though. I also don't have as much time for JPOG as I used to. The mod has been released! Have you tried messing around with your graphics settings? Someone else also had that white structures bug, and messing around with the graphics settings fixed it. EchoGreen/DPJWei also pointed out a couple of bugs in the exercises, the bugfixes for those are available and the v1.01 patch is also being updated to incorporate the second bugfix (the second bug initially slipped past me when I fixed the first one). how do I have unlocked the 12 points of excavation because even in b are from 10 to unlock , you can teach how to set to get the 12 ? Use the Open to the Public cheat to unlock the remaining 2 dig sites. Left, down, right, up, [, ]. Works for every game mode.